Records are made to be broken, and that’s exactly what Honda Canada did in the month of March this year. Earlier this month, Honda Canada reported that there was an 11% increase in sales for the month of March with 16,355 units sold by both the Honda and Acura automobile divisions. This increase also breaks an eight-year-old monthly record, which is a great feat in itself for the automaker. On it’s own, the Honda Automobile Division sold 14,647 of those units, which was good enough for a 12% jump from last year, and also breaking a record which was set in 2008. 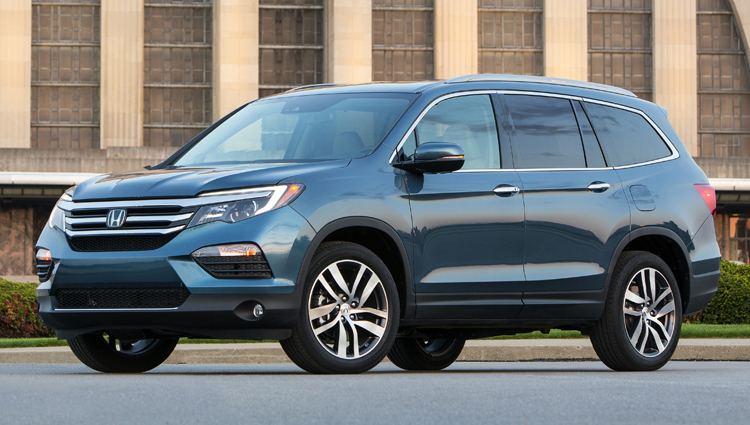 The Honda Accord, CR-V and Pilot all posted double-digit improvements over their 2015 results for the second month in a row. Most impressive of these was the Honda Pilot, which saw a whopping 53% increase in March sales with 658 units sold. This set a monthly record for the Honda Pilot for the eleventh time in twelve months! 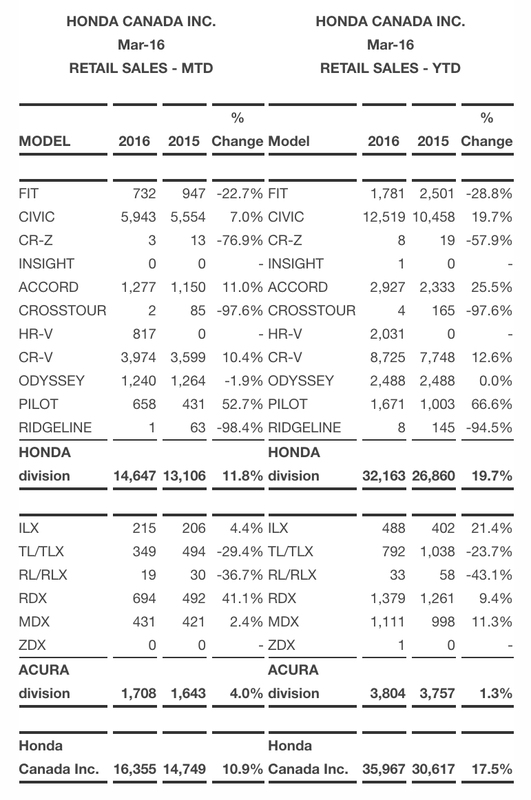 The chart below shows the numbers from this year for March, as well as the year-to-date numbers for Honda Canada. If you’re looking for a new vehicle, stop into Henley Honda today, and our amazing staff will certainly help find you the car of your dreams! Click the banner below this post and check out how you can Unlock A Deal with Henley Honda!